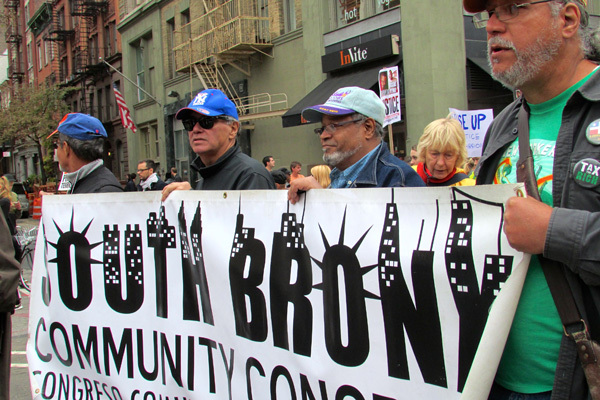 "Why are we still fighting for justice in 2015?" 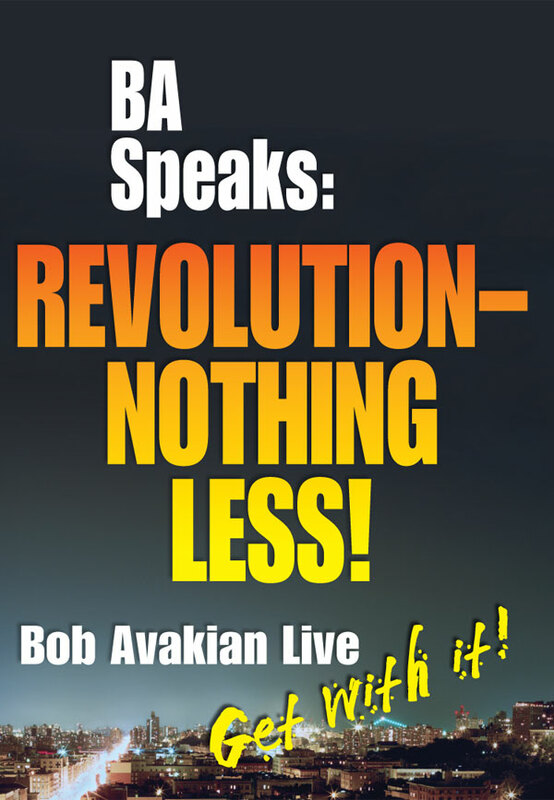 "The film brings you up close inside Cornel West's and Bob Avakian's dialogue: the passion, the audacity, the science, the morality, the revolutionary substance. 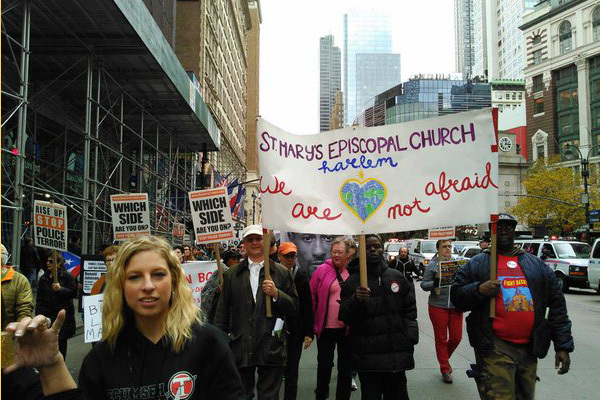 Two courageous voices modeling a morality that refuses to accept injustice – pouring heart and soul into standing together challenging all of us to fight for a world worthy of humanity." 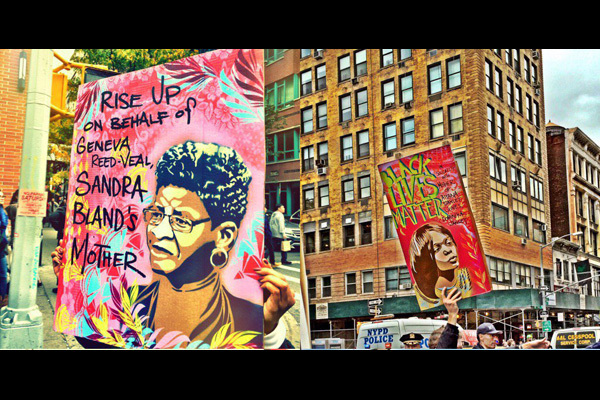 There will never be a revolutionary movement in this country that doesn't fully unleash and give expression to the sometimes openly expressed, sometimes expressed in partial ways, sometimes expressed in wrong ways, but deeply, deeply felt desire to be rid of these long centuries of oppression [of Black people]. 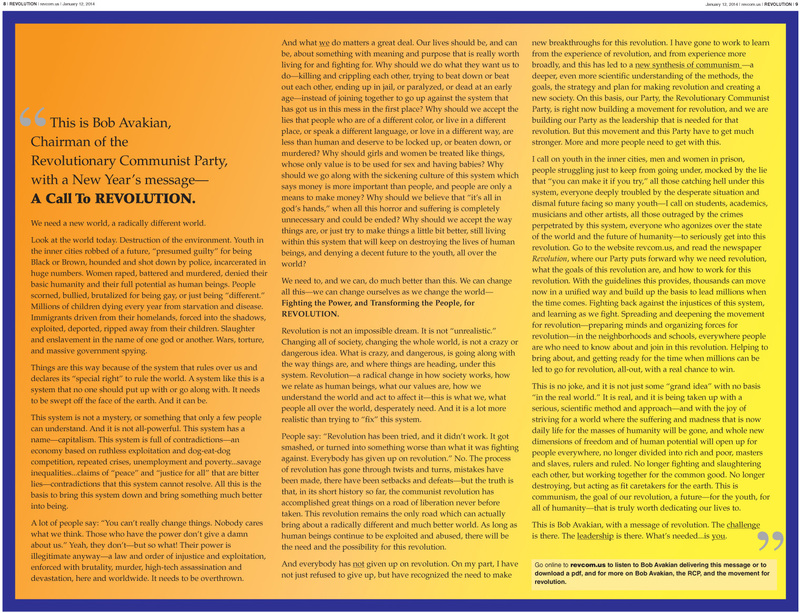 There's never gonna be a revolution in this country, and there never should be, that doesn't make that one key foundation of what it's all about. I first started getting into trouble with the law when I was five or six and I've been in jail, on probation or parole, or "at large" for the past fifty years... 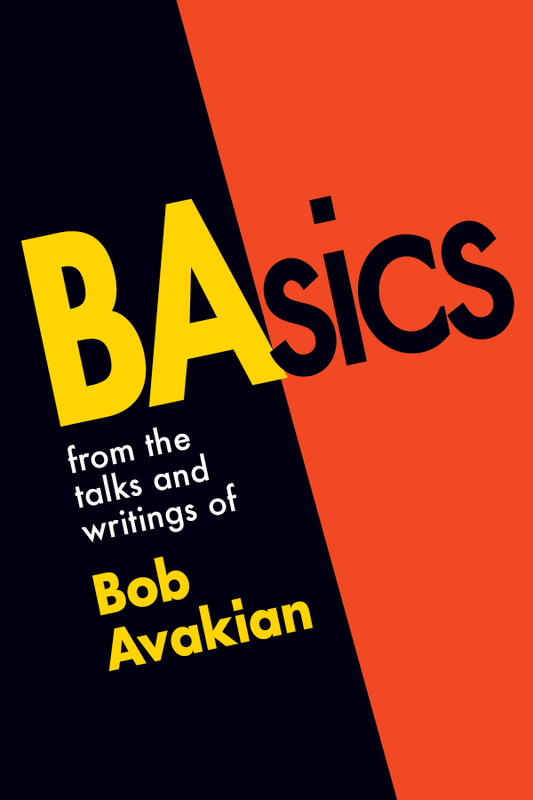 I have come to believe Bob Avakian and the Revolutionary Communist Party are the only true friends of we who are forced to live beneath the belly of the beast. Do you know anyone else—any person or organization—that has managed to bring forth an actual PLAN for a radically different society, in all its dimensions, and a CONSTITUTION to codify all this? 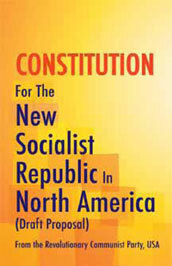 — A different world IS possible — Check out and order online the Constitution for the New Socialist Republic in North America (Draft Proposal). 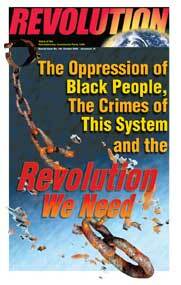 Excerpts from "The Oppression of Black People, The Crimes of This System and the Revolution We Need"
Read entire special issue at: "The Oppression of Black People, The Crimes of This System and the Revolution We Need"
There is the potential for something of unprecedented beauty to arise out of unspeakable ugliness: Black people playing a crucial role in putting an end, at long last, to this system which has, for so long, not just exploited but dehumanized, terrorized and tormented them in a thousand ways—putting an end to this in the only way it can be done—by fighting to emancipate humanity, to put an end to the long night in which human society has been divided into masters and slaves, and the masses of humanity have been lashed, beaten, raped, slaughtered, shackled and shrouded in ignorance and misery. 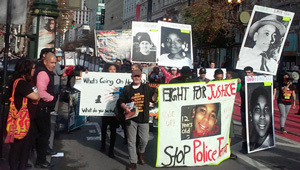 April 21: National Student Day of Action to STOP Police Terror! WHICH SIDE ARE YOU ON? 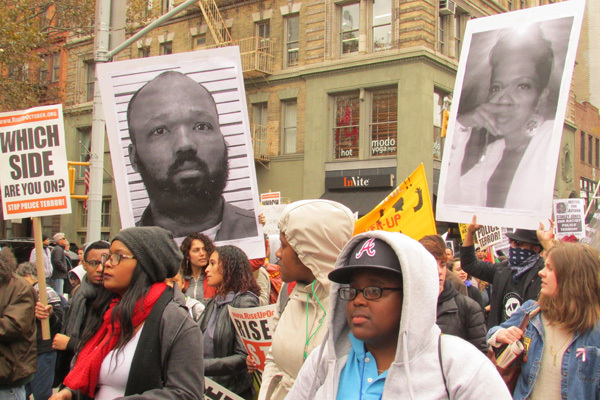 "Ferguson is in the House"—Contingent of Ferguson and St. Louis activists marched on October 24. 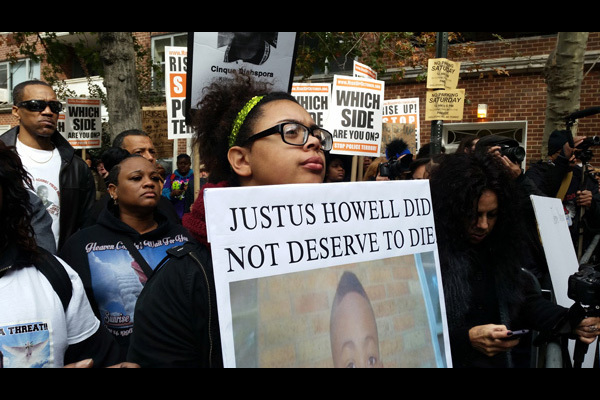 “Let’s do all that we can to stop the horror of police murdering our people. And then let’s do even more because we gotta stop this. One of the things about the movement that actually just means so much is that they have a powerful slogan: “Which side are you on?” If you’re not on our side, you’re on their side. There’s no straddling the fence. There’s no silent majority. There is none of that. You have to take a stand. If you believe it’s murder, then you gotta call it murder. And you gotta call the murderers, murderers. 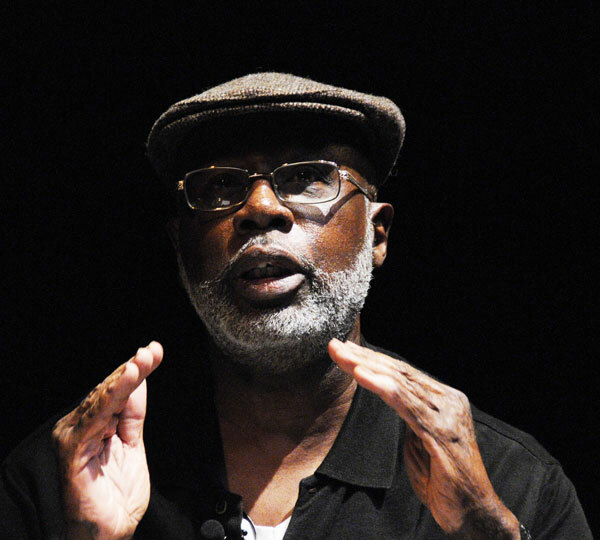 Carl Dix condemns FOP's "dangerous thuggery"
"What they’re doing is pretty obvious," he said. 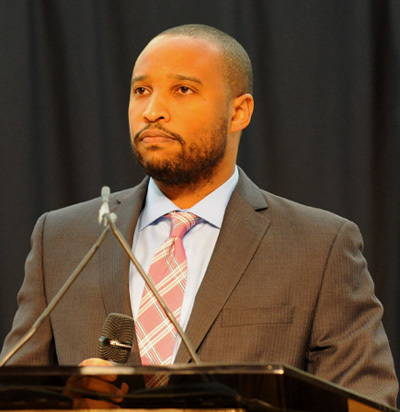 "Instead of dealing with the incidents of police brutality that those people were bringing up, instead of examining the problem of police brutality in this country, better they single me out. And their message is very clear. It’s to shut me down. It’s to discredit me. It is to intimidate me. It is to shut my mouth, and even more important than that, it is to send a message out to any other prominent person that might feel the need to join that side of the argument." Cheers to Jamie Foxx for speaking out and defending Quentin Tarantino against the attacks by police unions at the Hollywood Film Awards on Sunday, November 1. 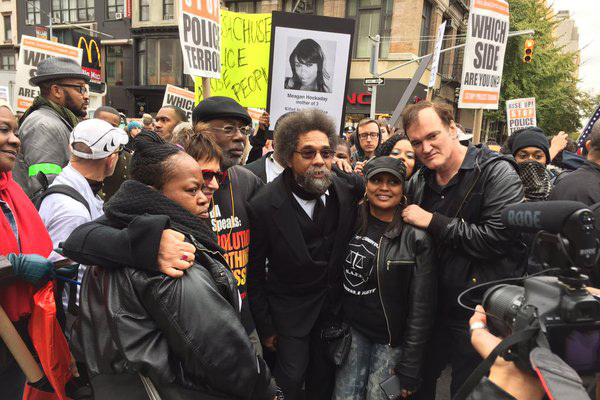 When Foxx had the stage to present an award, referring to Tarantino's words at the October 24th Rise Up October demonstration, he told Tarantino to "Keep telling the truth, keep speaking the truth and don't worry about none of the haters." This Call was joined and signed by families of people murdered by police, faith leaders, artists, activists, professionals, and more. Click here to see initial endorsers. 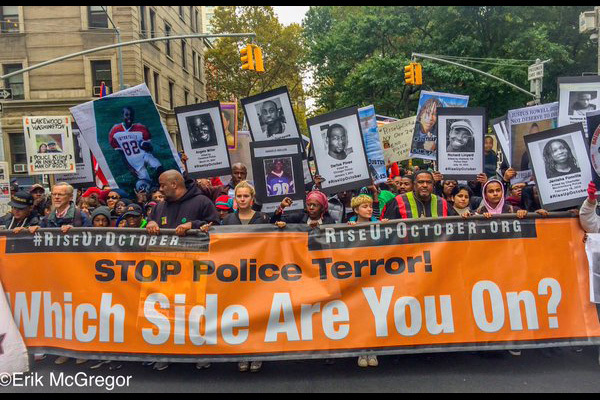 Thousands in the Streets of NYC for #RiseUpOctober: STOP POLICE TERROR! Which Side Are You On? "Don't hide behind the lies, don't hide behind the blinds..."
"Hey, enough is enough! 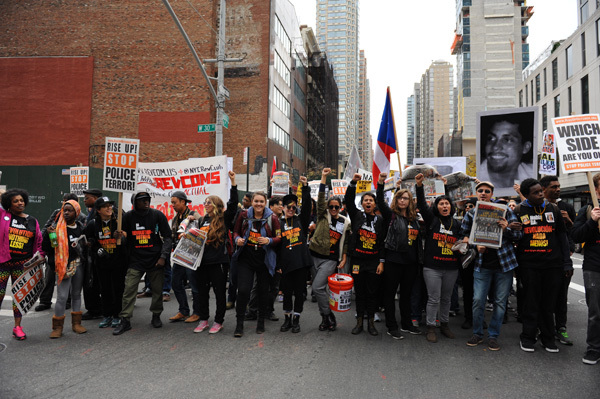 We need to put an end to police terror and fight for a better world." "Stand up and Rise Up October and say this has to stop!" 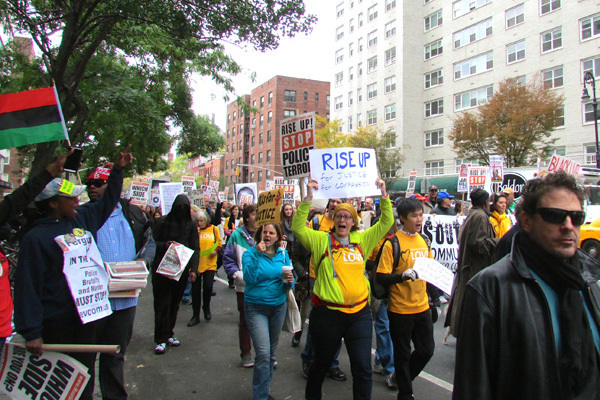 Interview with Rise Up October Steering Committee Member Debra Sweet: Let's Make History! 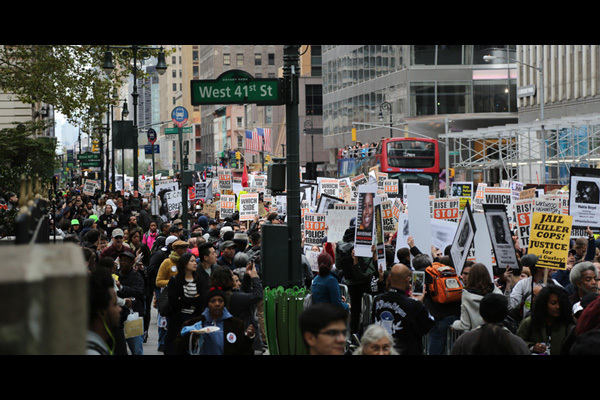 Join me to shut down Rikers Island on October 23! "No one of conscience will turn a blind eye nor a deaf ear to this pivotal point in our history." 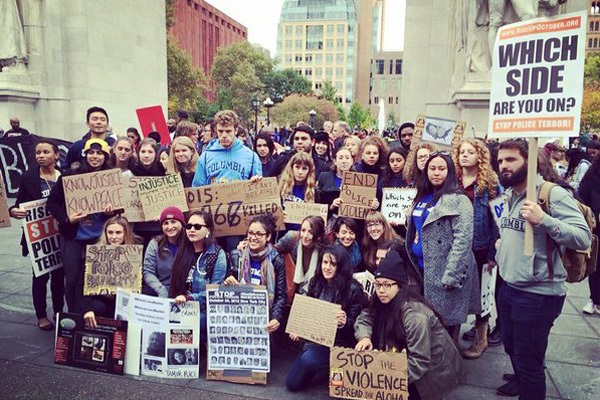 "I will march because choosing to remain silent is a form of symbolic violence in the midst of a genocide." 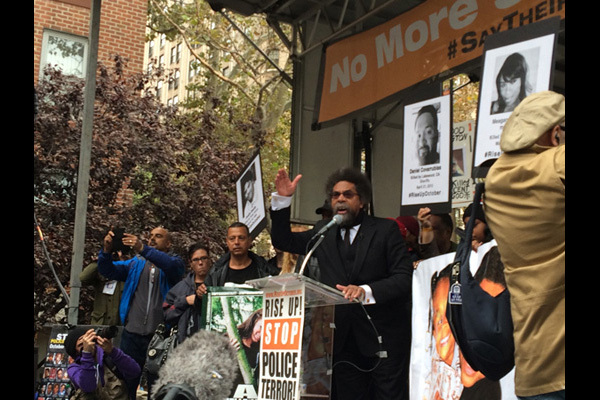 Cornel West and Carl Dix on the Brian Lehrer show on WNYC on Rise Up October, the attacks on Quentin Tarantino, the FBI director's claim video keeps police from doing their jobs, and the struggle to stop police terror. Listen here (first 18 minutes of the segment). 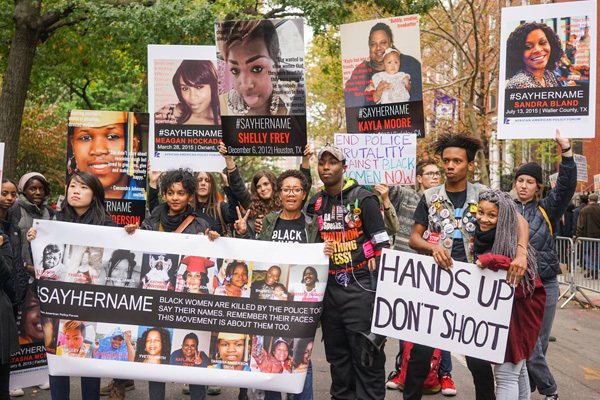 What Is Really Needed for the Movement to STOP Police Terror? Then Would You Call It Genocide? October 24, New York City: POLICE MURDER MUST STOP! 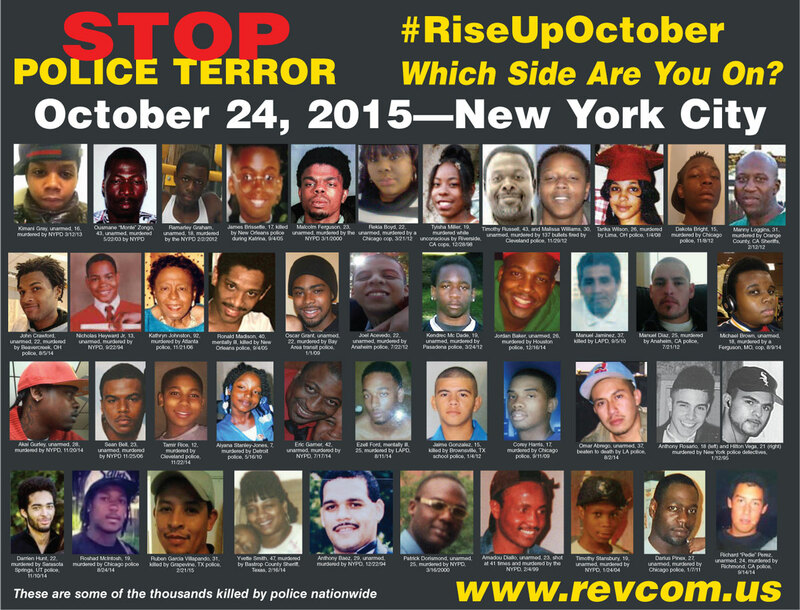 October 24 Outpouring Against Police Murder: Which Side Are You On? 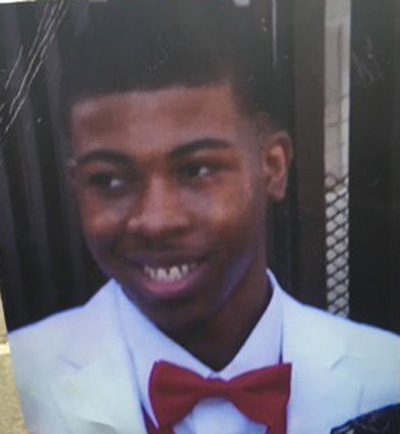 Interview with Gabriel Black Elk: "When it happened to my brother, it was like everything changed"
Video Rips Holes in the Officially Approved Chicago Police Murder of 17-Year-Old Cedrick ChatmanPolice Murder of Cedrick Chatman Approved by Chicago Powers: This Cannot Go Down! This Cannot Go On! 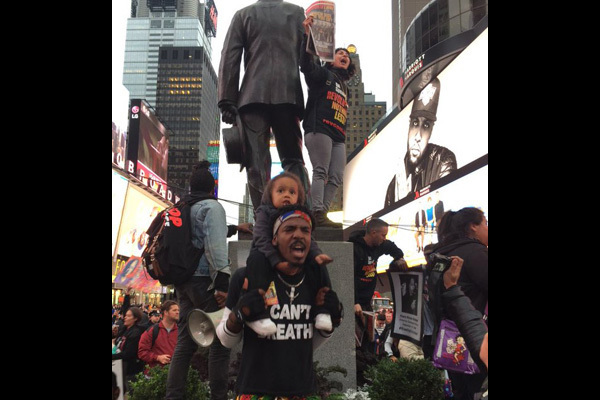 Police Who Murder People Walk Free— While Iggy & Alfredo Face Felony Charges for Protesting Police Murder & Demanding Justice! Drop All the Charges Now on Iggy & Alfredo and on All Those Arrested Protesting Police Murder! Five Years of Lies, Cover-up and Murder—How Long Will This Continue to Go On? 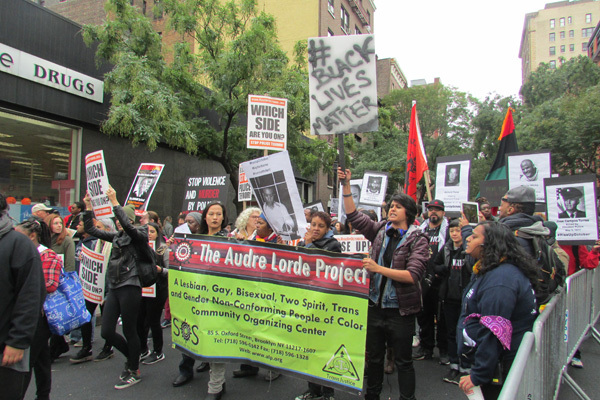 Police Who Murder People Walk Free—While Iggy & Alfredo Face Felony Charges for Protesting Police Murder & Demanding Justice! Drop All the Charges Now on Iggy & Alfredo and on All Those Arrested Protesting Police Murder! Justice for Nicholas Robertson! The Whole Damn System Is Guilty! 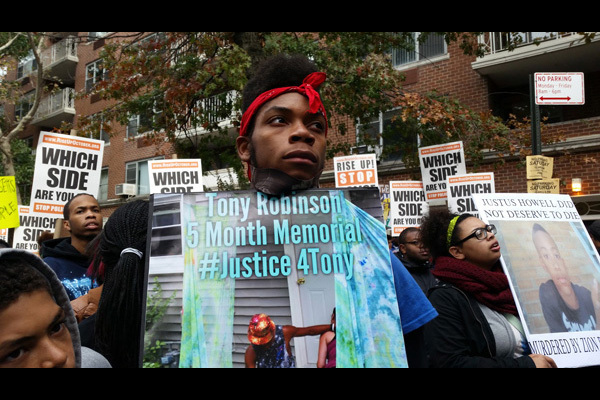 Seattle: Chris Harris Has Now Died—Indict the Cop That Brutalized Him! Jail and Convict the Cold-Blooded Murderers of Mario Woods! 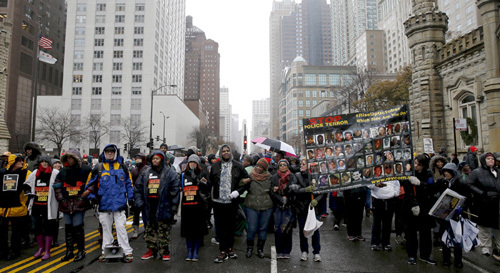 Justice for Laquan McDonald—Send the Murdering Pig to Jail! Louisiana: Police Execution of Jeremy Mardis—SIX Years Old! Mistrial in Case of First Cop Tried for Murder of Freddie Gray Is NOT Justice! 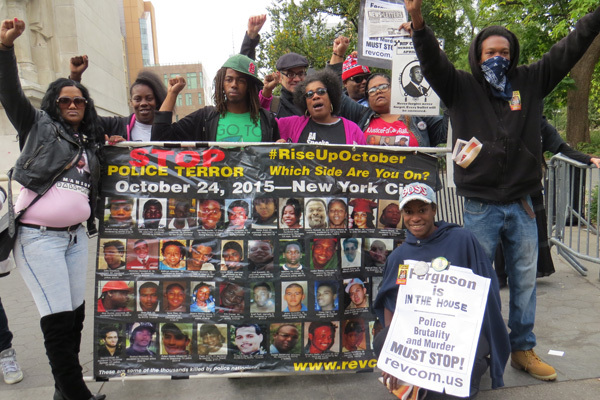 Indict, Convict and Send Killer Cops to Jail! 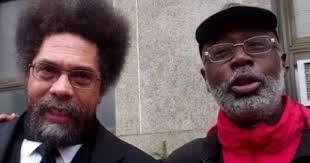 Carl Dix Shuts Up Mark Fuhrman on Fox—It is absolutely RIGHT to stop police murder. 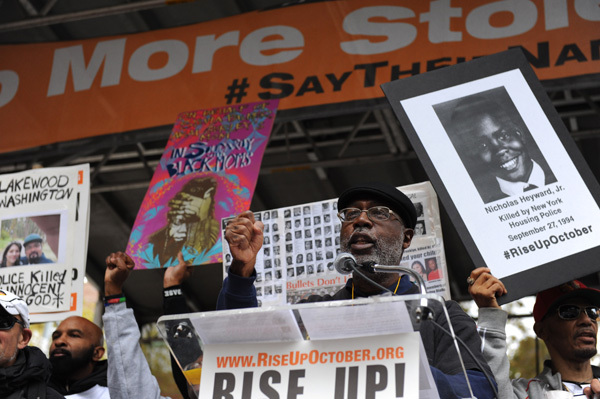 Carl Dix: Condemn Reports Saying Cops Who Gunned Down Tamir Rice Were Justified! Authorities Greasing Skids to Exonerate Tamir's Murderers! 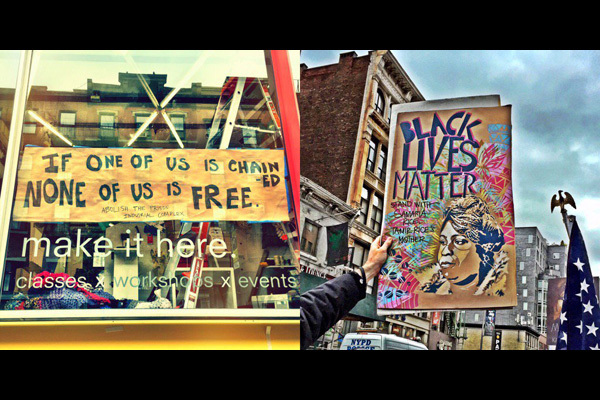 Ferguson 2015—It's Still Right to Rebel Against Injustice! What Does Oct 22-24 Need to Be? 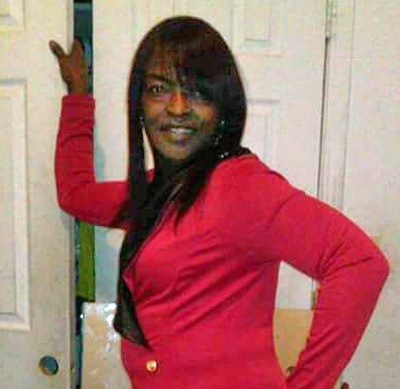 Outrage in Charleston—This IS America! 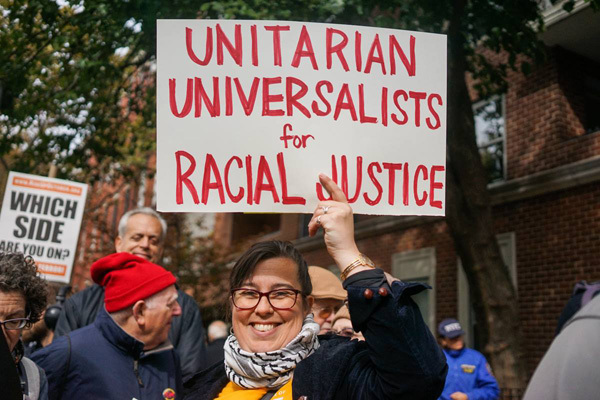 Open Letter to Beverly Unitarian Church—Which Side Are You On? What Are Rebellions Against Injustice Good For? "...The problem is real. The challenge is real. The role you choose to play in the face of this will also be real." 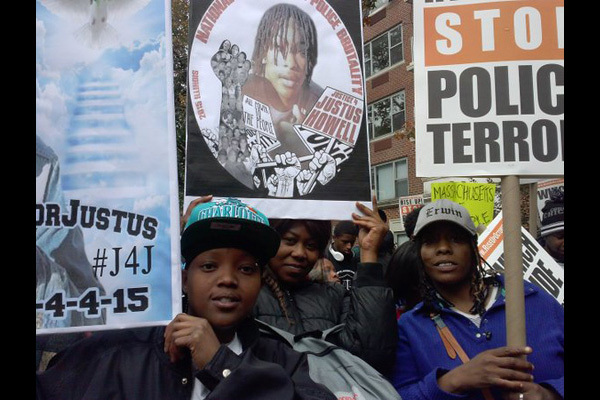 STOP Police Terror and Murder! Family members of victims of police murder...people from the neighborhoods...faith communities...students and teachers...all people of conscience... Step Up, Throw in, Get Organized to Carry out the Fight to END this outrage. 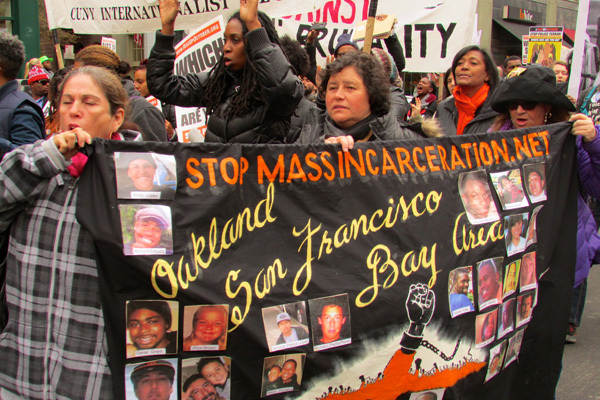 Get in touch with and get involved with the Stop Mass Incarceration Network. What we need is an actual revolution—and if you are serious about an actual revolution, you have to get seriously into BA. Want to Know What the Big Deal Is About BA?